Lately at The Basement, we've been awarded some very interesting projects. One I'm quite excited about is a learning platform we are developing for the AMA called the AMA Flight School. 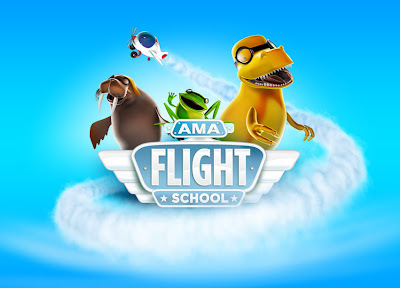 The AMA is the Academy of Model Aeronautics and has been around since 1936. The learning platform will be used to educate their audience on varying aspects of flight. 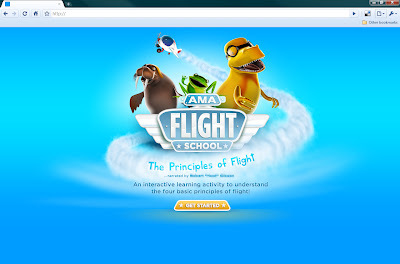 Here is a first look at title screen design for the module - Principles of Flight. 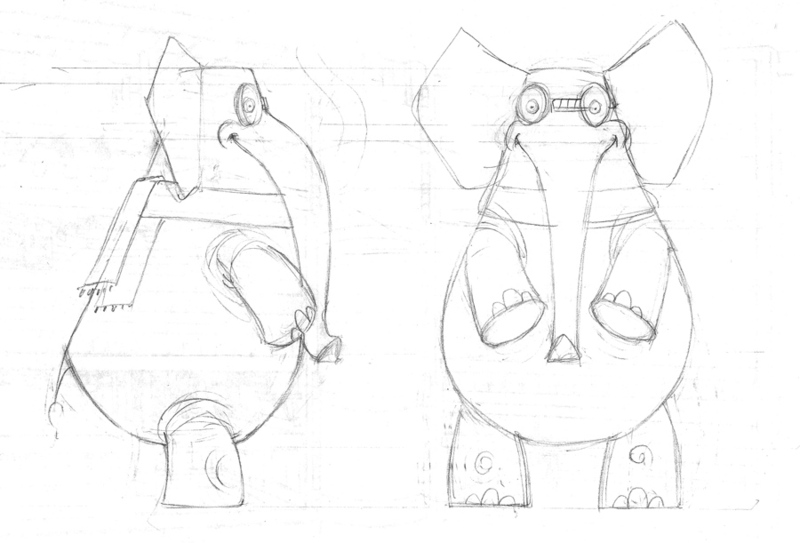 An early pitching sketch during a brainstorming session with the client. We live on whiteboards here at The Basement. We've done around 30 -40 character sketches up to this point. We studied poses, character lines and expressions. 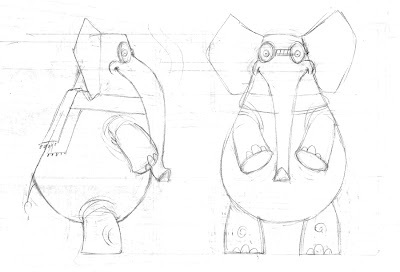 In our initial concept, we had an elephant as one of our three characters. We really liked the Elephant, but switched to a flying Walrus for educational accuracy. Here is Dan's Elephant sketch and Joseph's model. The logo was inspired from pilot wing pins. Here's my first sketch for the logo. The Walrus has made his introduction into design at this point. 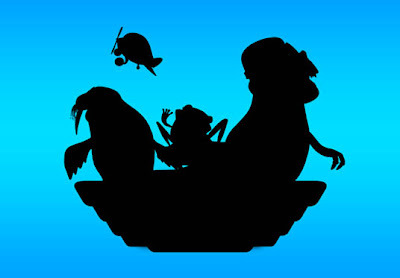 Another consideration for the logo and title screen was maintaining a pleasing silhouette with all the characters. 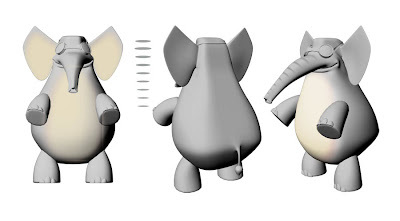 We carefully posed each asset to create interesting negative space. Actually, the plane was added to the top left to compliment the negative space and the vapor trail was used to visually tie everything together. 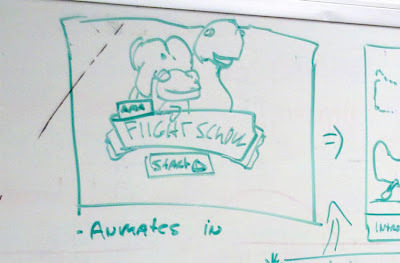 Some technical details: The characters and plane started out on a sketchbook, modeled and textured in Maya. The logo is all vector in illustrator. The vapor trail was built with Particle Flow in 3ds Max. All compositing and layout was done in PhotoShop. My main objectives for this project are education and appeal. This is driving every creative decision throughout the process. Hope you liked seeing our progress - stay tuned for the official project launch. Also, the AMA is celebrating their 75th year with a family event this weekend. More information can be found HERE.